Radio astronomers are using a multiprocessorbased data acquisition instrument to investigate the magnetic field in the interstellar medium of our Galaxy. This instrument is allowing them to measure the direction and field strength of the magnetic field of the Milky Way. Based on the Sundance hardware architecture combined with 3L Diamond codesign tool-suite, the system is now deployed on the 26-m radiotelescope of the Dominion Radio Astrophysical Observatory (DRAO) in Penticton, Canada. It features an instantaneous bandwidth of 500 MHz and a spectral resolution of 2048 channels. The phase relation of the two input signals is measured in real-time and using 3L Diamond, the instrument design was completed in only 18 months, allowing scientists to deploy the data acquisition system earlier than would have otherwise been possible. 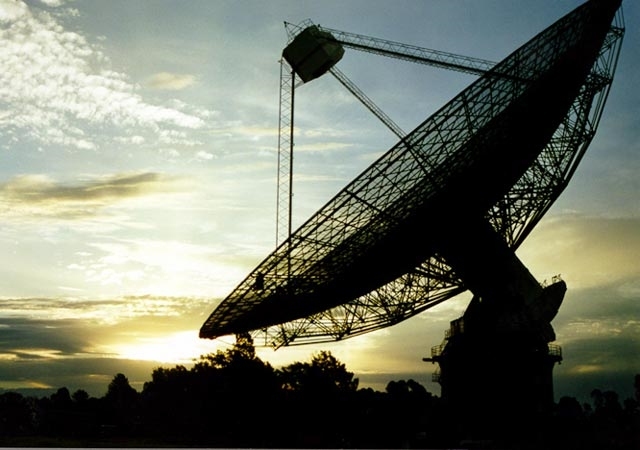 Based on the NRC system, DRAO astronomers are now leading a project to utilize this method with other radiotelescopes around the globe including the 100-m Effelsberg telescope in Germany and the 64-m telescope at the Parkes Observatory in Australia. Maik Wolleben, Covington Fellow at the Canadian National Research Council, Canada. Dr. Peter Robertson, 3L Managing Director, United Kingdom.